Richard Irwin (Belper, United Kingdom) on 24 November 2008 in Plant & Nature. Photo from my garden from mid november. That top leaf really stands out. Nice lighting and textures. 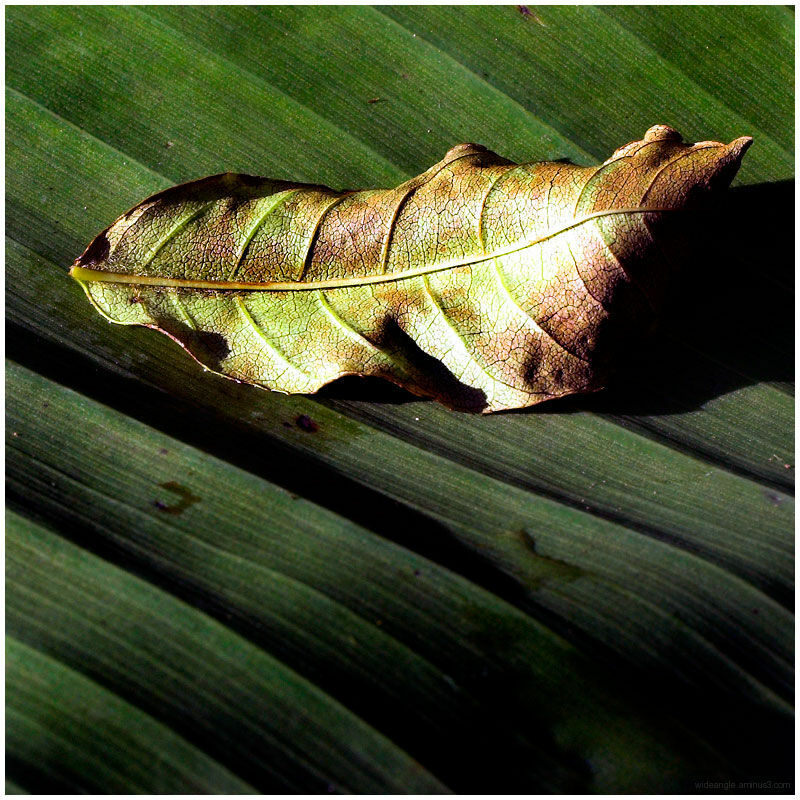 i love the leaf in a leaf image. It is superbly composed. Really nice light, Richard! Beautiful composition. Nicely done,good textures and contrasts !! Lovely compo ful of nice details. Nice sharpened image. The lighting is exceptional and the colors too. A simple but a nice composition. Superb textures and colours! simple and very beautiful Richard. What a super idea! I love the contrasting textures. Masterful stuff . . love the combinations of color and scale here . . it has a rich, 'studio' feel to it. That light is just perfection! Love the copper tones with the green on that top leaf. Beautiful light... Beautiful image, Richard! The colors are outstanding.. The light is great as it highlights the colors in the leaves. Great job!